We are 100% crate free dog free facility. If you're dog prefers sleeping in a crate, please bring their crate from home to sleep in. 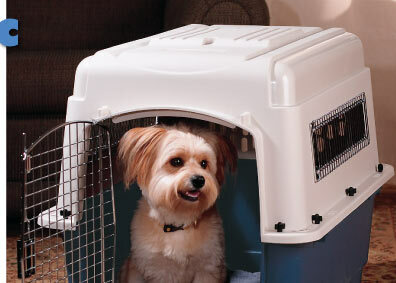 Give me options: Open door crates - Crates are placed throughout the playhouse and your dog has the option to sleep in a crate or not. Give me more space: Crate free - We have several types of beds for your dog to sleep, raised beds, padded beds, chairs, pillows and blankets oh and laps too. Which ever service you choose please know that there is always 2 or more people in the playhouse all night with your fur baby!